‘Cornwall Sea to Stars’ showcases the astronomy and geophysics intrinsic and evident throughout our unique county and brings it right to the doorstep of Cornwall’s disparate communities. 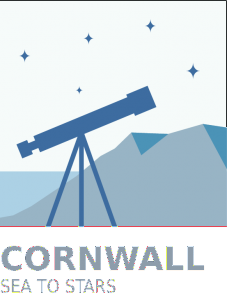 The project is led by the not-for-profit company, ‘Cornwall Sea to Stars’, and is supported by a consortium of professional, public, commercial and volunteer organisations with diverse interests, including astronomy, geophysics, archaeology, satellite tracking, marine engineering, mining history and tourism. WHAT DOES CORNWALL SEA TO STARS DO? For its first project, ‘Cornwall Sea to Stars’ is creating an interactive, mobile science outreach unit showcasing the best of Cornwall’s geology and astronomy. It will use both existing and new networks of community groups and trained volunteers to roll out a program of events. The unit will travel to many remote locations in the county to engage Cornwall’s varied and often disparate communities with astronomy and geophysics. The unit will be equipped with themed and interchangeable ‘modules’ that will allow community groups and trained volunteers to present topics in a fun but professional manner. Cornwall Sea to Stars is a not-for-profit, registered company number: 10798534. ‘Cornwall Sea to Stars’ is grateful to John Savage Accountants for their sponsorship. ‘Cornwall Sea to Stars’ has been awarded a grant of £35,000 by the Royal Astronomical Society as part of the RAS200 Sky & Earth project. 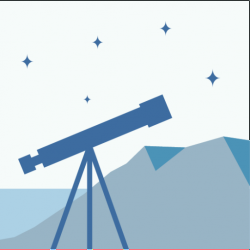 ‘Cornwall Sea to Stars’, a new project to bring astronomy and geophysics to Cornwall, has received £35,000 funding from the Royal Astronomical Society under the RAS 200: Sky & Earth programme that celebrates the run up to the Society’s bicentenary in 2020. The winning projects were announced on Friday 12th May at the RAS Annual General meeting. Truro High School for Girls, Goonhilly Earth Station, Roseland Observatory.